This should work with slightly older GPS data files and on most recent built-in car navigation systems. These coordinates will take you to the gates of the property. Naramata is 15 kilometers North of Penticton, on the East side of Okanagan Lake. The travel time between Penticton and Naramata is approximately 15 to 20 minutes, depending on traffic. Arriving on Highway 97 to Penticton from the North, Highway 97 becomes Eckhardt Avenue when it takes a sharp left turn as it enters Penticton. Eckhardt Avenue crosses Penticton from west to east, and will take you towards Naramata, to the north-east side of Penticton. Follow Highway 97 as it descends into Penticton and turn left at the second set of traffic lights onto the Channel Parkway. Follow the Channel Parkway. It becomes Railway Street at the intersection with Duncan Avenue. Stay on Railway Street which is a four lane road that flanks Penticton on the West side. After passing the Canadian Tire store on your right, keep to the right lane. At the lights, turn right at Eckhardt Avenue towards Naramata. 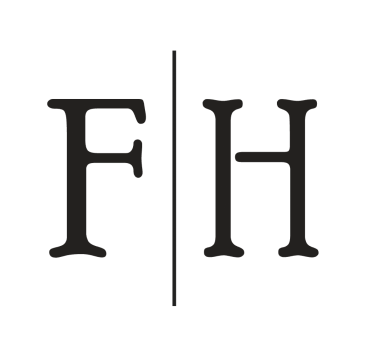 Follow Eckhardt Avenue as it crosses Railway Street, Winnipeg Street, Martin Street, Main Street and Government Street. Eckhardt Avenue ends just past Government Street, turning to the left and becoming Haven Hill Road. Although the name of the road keeps changing, the road itself is easy to follow as it is the major road. At the end of Haven Hill Road, a short section, the road to Naramata takes a sharp right onto Johnson Road, changing name once again after a few blocks and taking a sharp left, to Upper Bench Road where you will pass Upper Bench Winery and Creamery (great cheese) and Misconduct Wine Company. Upper Bench Road has a stop sign as it intersects McMillan Avenue. You will need to turn right on McMillan Avenue passing the Township 7 Winery on your right. Immediately after Township 7, the road veers to the left becoming Naramata Road. The road is marked with Wine Route signs. Follow Naramata Road as it winds through vineyards and orchards. You will pass a number of the wineries that make up the Naramata Bench Wineries as well as a couple of distilleries. In succession, you will go by La Frenz, Red Rooster, Maple Leaf Spirits, Ruby Blues, Hillside Estate, Laughing Stock, Black Widow, and Lake Breeze, and Legend Distilling just to name a few. 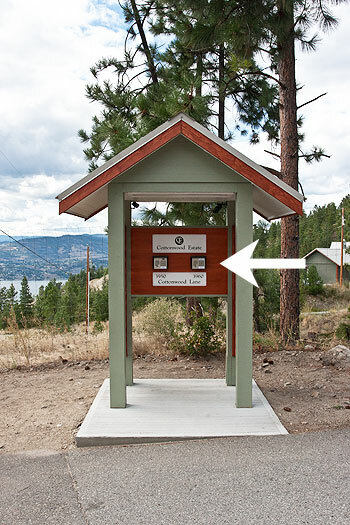 As you near Naramata, a large wooden sign for the Village of Naramata will be on the right side of the road. The road forks soon after the sign. The left side of the fork is Robinson Avenue, which heads down into Naramata Village while North Naramata Road is on the right, in the direction of Chute Lake. 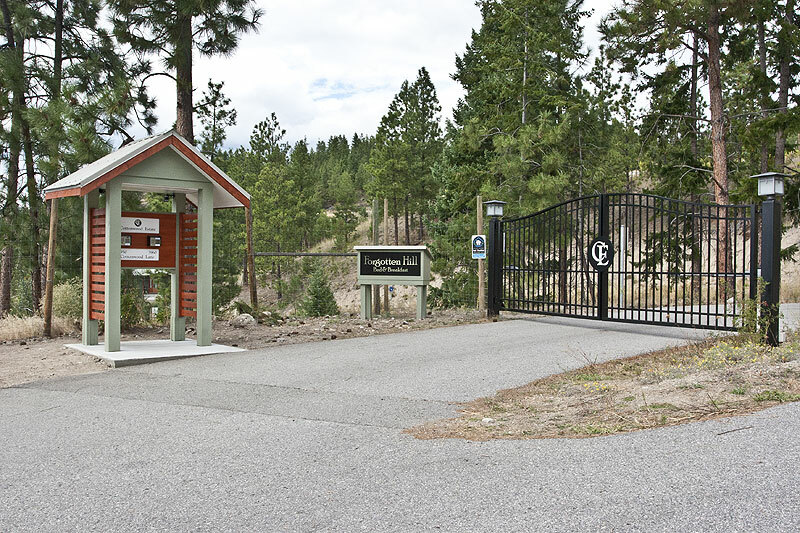 Follow North Naramata Road for a short distance (1 block) until you see Smethurst Road on your right. Smethurst Road is a bit hard to spot, but there is a highway sign for Forgotten Hill B&B approximately 200 ft. (60 m) before the road that lets you know it’s coming up. Follow Smethurst Road up the hill. You will pass the Nichol Farm Winery and Daydreamer Wines on your left as you head up the hill. Smethurst Road is an old road that coils up the hill side. In parts it’s quite narrow so be careful with oncoming traffic. As you climb up Smethurst, you will reach the famed KVR trail, the old track bed of the Kettle Valley Railroad that used to serve most of the southern part of British Columbia and is now part of the Trans Canada Trail. Follow Smethurst Road as it continues past the KVR parking lot for Trail visitors (on your right), going over the slats of the cattleguard. Cottonwood Lane will be on your left a bit further up the hill. It has a road sign. As you reach the end of Cottonwood Lane and the entrance area of Cottonwood Estate, the road is paved once again. An intercom stand is on your left as you approach the black gates of the property. This is where you enter your gate code. Your Reservation Confirmation e-mail contained a Gate Access Code; please enter it on the right-side intercom key pad, above the address “3960”Cottonwood Lane. Should you encounter a problem, press the CALL button on the other (left-side) intercom and someone will let you into the property. Once past the gates, please follow the signs for Forgotten Hill. Keep going past the first house — on your right soon after getting into the property. 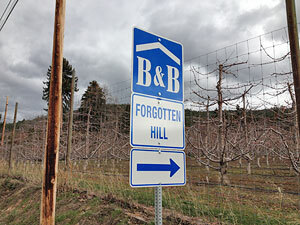 Forgotten Hill Bed & Breakfast is 500 m (1,640 ft.) from the entrance gates.